Located on the northern shores of the Thames estuary, Southend-on-Sea is found in the southeast English county of Essex. With a population of approximately 180,000, it is a seaside resort that benefits from both its coastal setting and proximity to London. At My Home Move Conveyancing we have been developing and improving our knowledge of local property markets since 2002, meaning we can offer all our clients in Southend-On-Sea an outstanding specialist, fixed fee conveyancing service. You must instruct a lawyer to carry out the legal work on your behalf when buying or selling property in Southend-On-Sea. 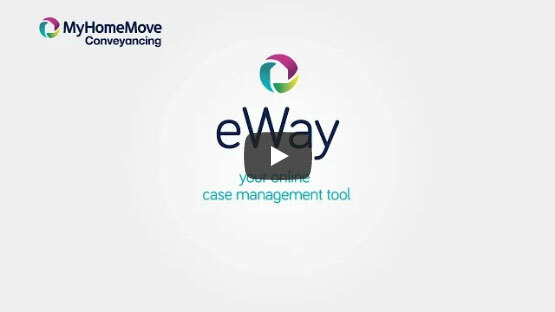 Make the most of My Home Move Conveyancing’s award winning customer service, innovative use of technology and intimate knowledge of the local market. Our fixed fee conveyancing service comes with no hidden extra costs, meaning you can plan for exactly how much you’ll be paying from the outset. If you don’t move for whatever reason, you won’t need to pay us anything. All of our clients are assigned a dedicated conveyancer, providing you with a consistent point of contact who will oversee your case from start to finish and keep you regularly updated. At My Home Move Conveyancing we supply our conveyancing services to customers across the Southend-On-Sea area, from the Clifftown conservation area with its charming architecture and close proximity to the town centre, to Thorpe Bay with a prevalence of Edwardian and 1920s properties, and Leigh-on-Sea with its fashionable appeal. The average house price in Southend-On-Sea is £186,313. Over the past 12 months most sales in the area involved flats, which sold for an average of £143,070. Semi-detached and terraced properties sold similarly well, going for an average of £265,945 and £215,246 respectively, while detached properties fetched £416,424. Southend-on-Sea grew in popularity during the 19th century when rail travel came to prominence, opening up the seaside resort for many tourists during the summer months and leading to widespread construction including that of Southend’s pier. The pier is now a Grade II listed building, extending almost 1.5 miles into the Thames estuary, while the Southend Cliff Railway and the Adventure Island amusement park are other attractions along the shoreline. Southend-on-Sea is served by two main National Rail lines, which offer plenty of services to London that take around an hour. The capital is only 40 miles to the west of Southend, and can be reached by taking the A13 road. The same road and the A127 serve the M25, opening Southend up to the country’s motorway network. London Southend Airport is located less than two miles north of the town centre, offering flights to European destinations such as Alicante, Amsterdam, Barcelona and Geneva. There are a range of excellent schools in Southend-on-Sea for children of all ages, ranging from comprehensive to grammar and private schools. Notable primary options include Eastern Avenue’s Temple Sutton, Bournes Green Junior on Ladram Road and Sacred Heart Catholic Primary School and Nursery on Windermere Road. Among the choices at secondary level are Cecil Jones College, Southend High School for Boys and Southend High School for Girls, while the University of Essex offers higher education in Southend-on-Sea. All properties in Southend-On-Sea will fall within one of the following council tax bands.